What is an Enterprise Investment Scheme (EIS) and what are the benefits? In 1994, the Government launched a scheme called ‘The Enterprise Investment Scheme’ or EIS for short, and this scheme was created in order to encourage individuals to invest in companies that were in the early stage of their lifespan. It was regarded as an alternative source of funding to more customary sources of capital. Investing in any company comes with its risks, but it could be said that there are more risks associated with investing in a company that has only just been set up. This is why tax breaks are available in order to balance that risk, while also rewarding the investment. Since its introduction, over 24,000 companies have received investment and as a result of the scheme, over £14.2bn has been raised. Over £1.8bn was raised under the EIS in 2016 alone, according to the HRMC & National Statistics Report back in October. What are the tax benefits to EIS investors? 30% upfront income tax relief – increased from 20% in April 2011 to a maximum £1m investment in any tax year and shares are held for a minimum of three years. This means you could have a maximum tax reduction of £300,000 in any one tax year (providing you had the tax liability to cover this amount). The tax relief is set against the year the shares are purchased. How can I access EIS companies? Prospective investors can either invest in an EIS ‘fund’ or in single companies. An EIS fund is actually a Portfolio Service usually via a discretionary fund manager. It consists of a manager, who has expertise in EIS or unquoted companies, using their knowledge to select a portfolio of EIS qualifying companies. There are multiple different investment strategies available covering multiple sectors. 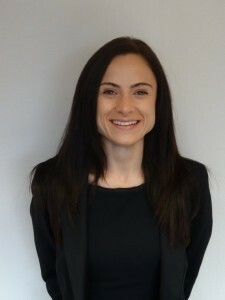 Natasha Fathers is an Independent Financial Adviser and works for the Wealth Management company within Hawsons, providing Independent Financial Advise to both individual and corporate clients. For more details and advice, please call 0114 266 7141.